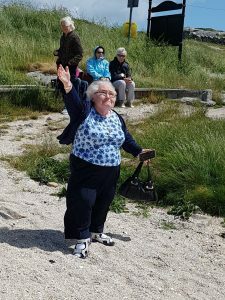 Day tripping along the Wild Atlantic Way – the best medicine! 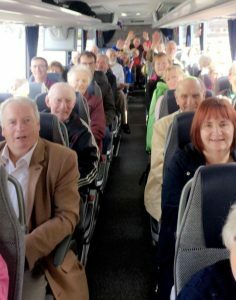 ‘Breathe deeply of the sea air as you enter Rosmuc!’ Peter O’Malley proclaimed as Donoghue’s Bus rolled into Pearses Cultural Centre in Rosmuc, ‘There is nothing like it anywhere in the world’ beamed the proud Connemara man! 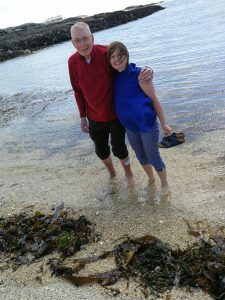 And he was right, we were on the Croí Stroke Support Group Summer Outing 2018, it was a stunning day in the month of June, the sun shone brightly as we took his advice. 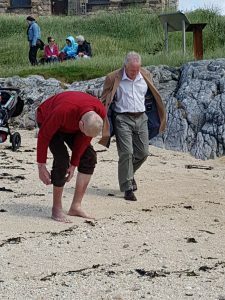 You can take the man out of Connemara but you can’t take Connemara out of the man! 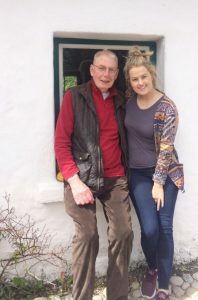 Peter knew every bump and hillock, he knew who owned every house and piece of land along the road from Maam Cross to Rosmuc and regaled us with stories to match, of weddings and wakes from bygone days and in between gave us a few bars of his favourite tunes as Gaeilge! 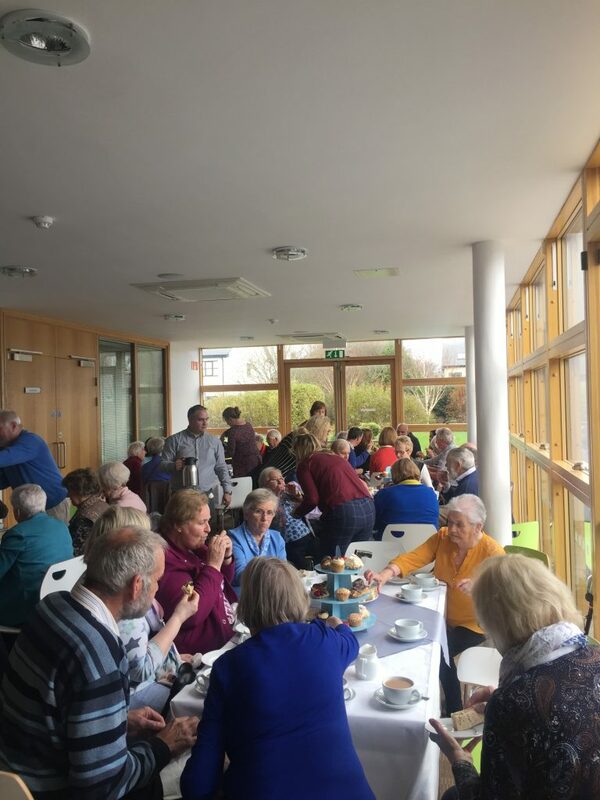 The Stroke Support Group summer outing has been a constant in the Croí calendar for many years now, recently the group have visited the Cliffs of Moher and the Museum of Country Life in Castlebar. 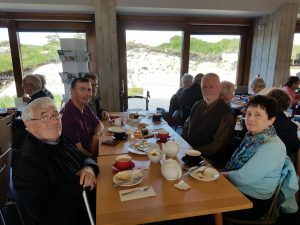 This year they opted for Pearse Cottage, now the Pearse Cultural Centre (Ionad Cultúrtha an Phiarsaigh) located in Ros Muc, in the heart of the Connemara Gaeltacht, on the Wild Atlantic Way. 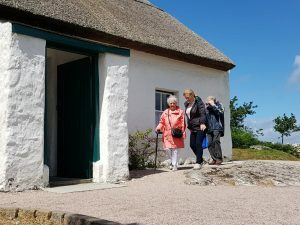 The Visitor Centre houses a fascinating interactive exhibition dealing with Pearse’s legacy and exploring the things that drew Pearse to Connemara: the area’s unique landscape and history, and the ancient Gaelic culture and language which is still alive in the area today. The building itself is truly a 21st century structure but respectful of its location and the landscape in which it resides. Inside we were treated to a mouth-watering array of pastries and cakes and the welcome aroma of freshly brewed tea and coffee provided by Martin and his staff in the café @maiziegourmet. 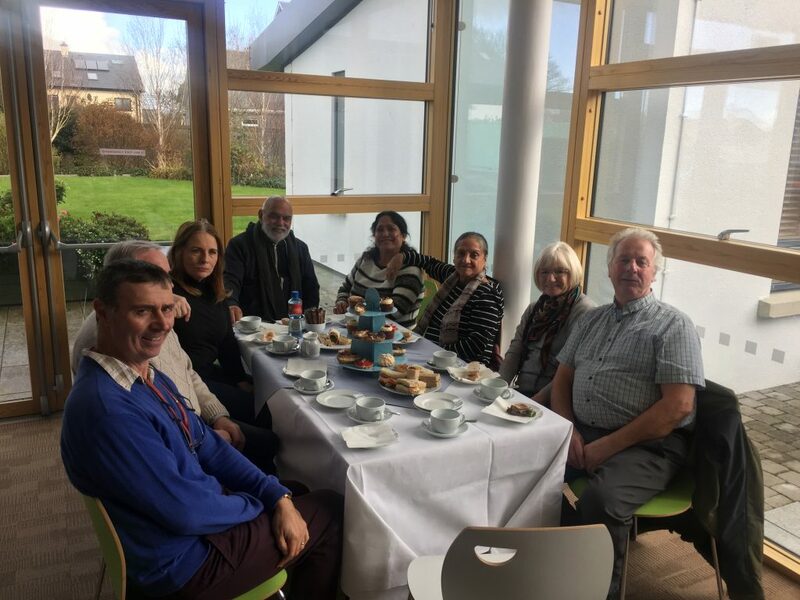 After we had enjoyed our repast, the group took some time to take in the interactive exhibition at the centre before taking a short stroll through the bog path to visit Pearse’s Cottage, which is just as he left it in 1915. 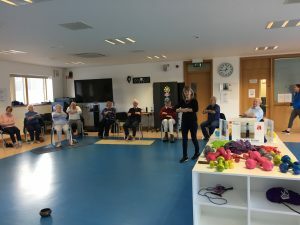 – Feedback from a member of the Croí Stroke Support Group. 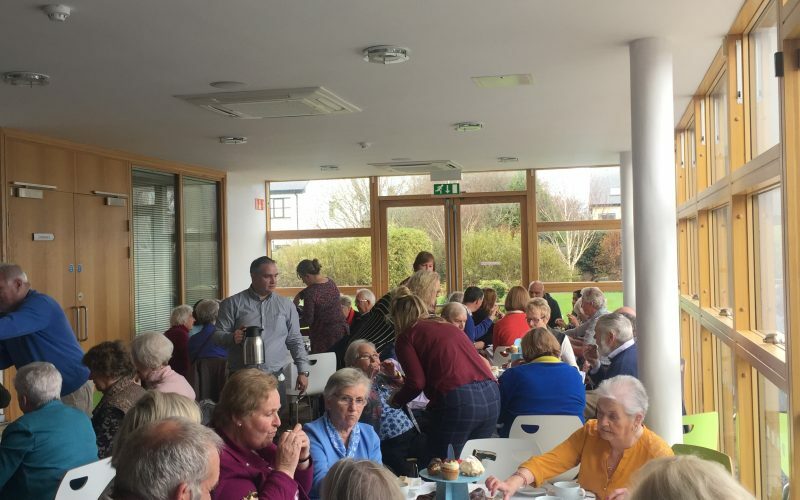 The Croí Stroke Support Group meet at Croí House on the second Thursday of every month and new members are always warmly welcomed, call Jessica on 091 544310 for further information. 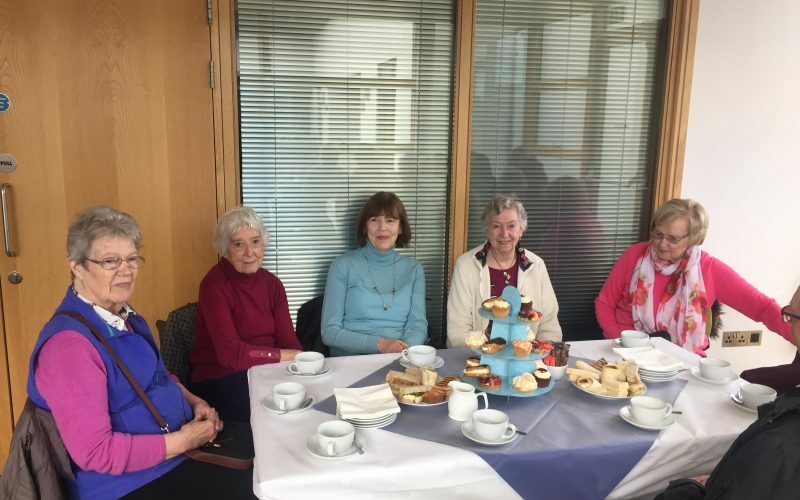 In recognition of 2018 World Stroke Day, we held a lovely tea party for our Stroke Yoga participants, Stroke Support Group and Stroke Communication Group. Thank you to everyone who attended and shared words of advice to help other survivors get #UpAgainAfterStroke. 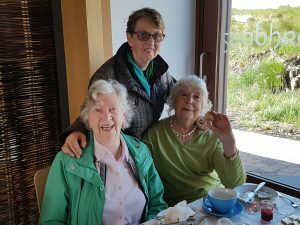 Also check out this blog post on the Stroke Support Group’s Summer outing! 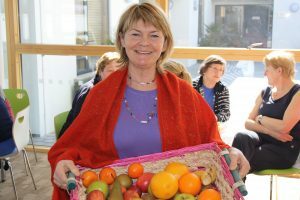 Monica, a member of the Croí Stroke Support Group. Monica’s husband Pat suffered a stroke on April Fool’s Day, 2014. “He has plenty jokes about that,” says Monica of her husband of 48 years. 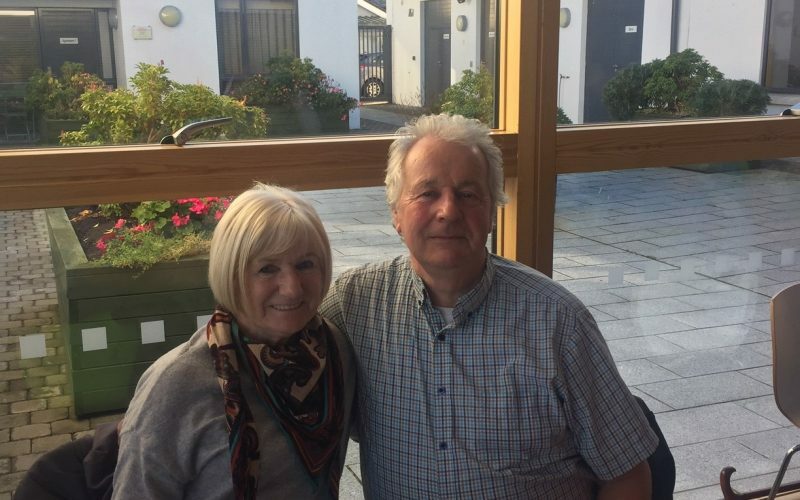 Pat was told he wouldn’t be able to walk after the stroke, but following relentless therapy sessions, Pat got back on his feet and is doing really well. 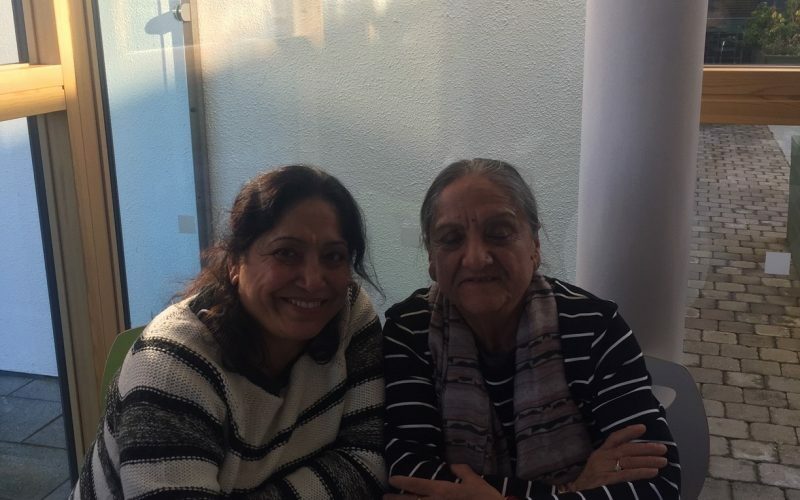 “While he was hospitalised, I would go for my daily visit after his physiotherapy session, and discover he had gone for a second session, sometimes a third!” says Monica. 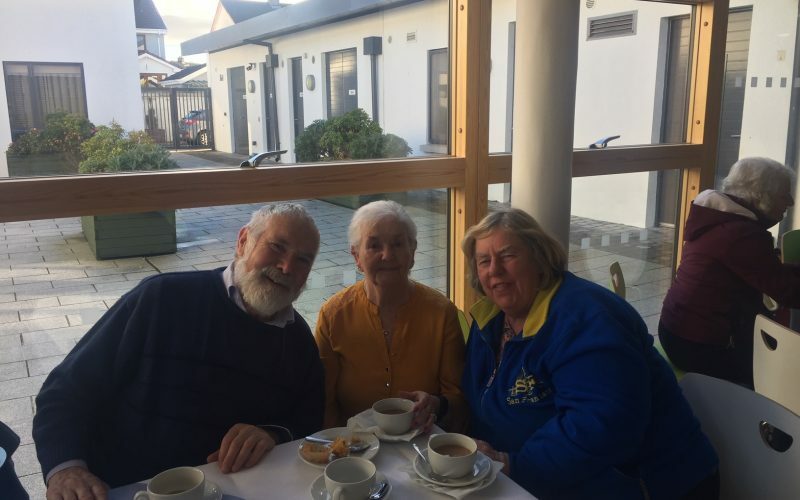 Monica and Pat are members of the Croí Stroke Support Group, who meet every month at Croí House to chat and offer support to one another. “The group meetings are fantastic for both of us, for different reasons. 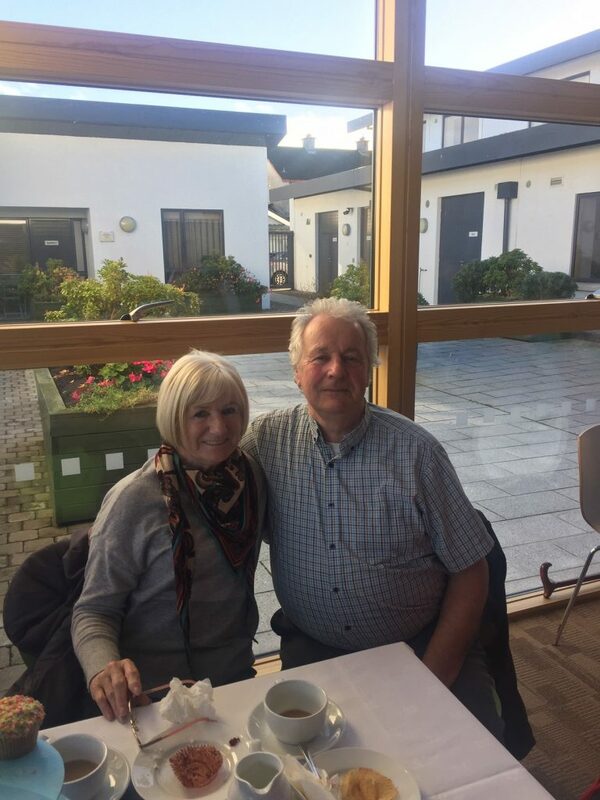 Pat connects with other stroke survivors, learns from them, and offers advice from his experience. 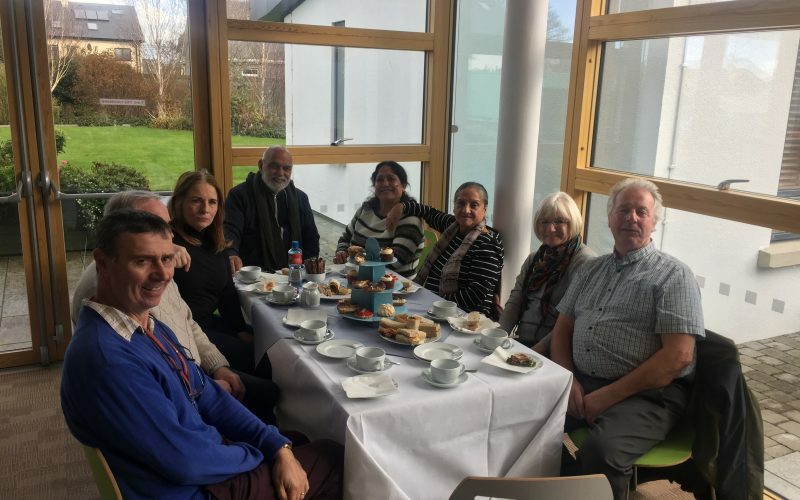 As well as the group meetings, Croí also arrange support meetings for the carers, or loved ones of stroke survivors, where we can chat about difficulties we encounter without upsetting our loved ones. 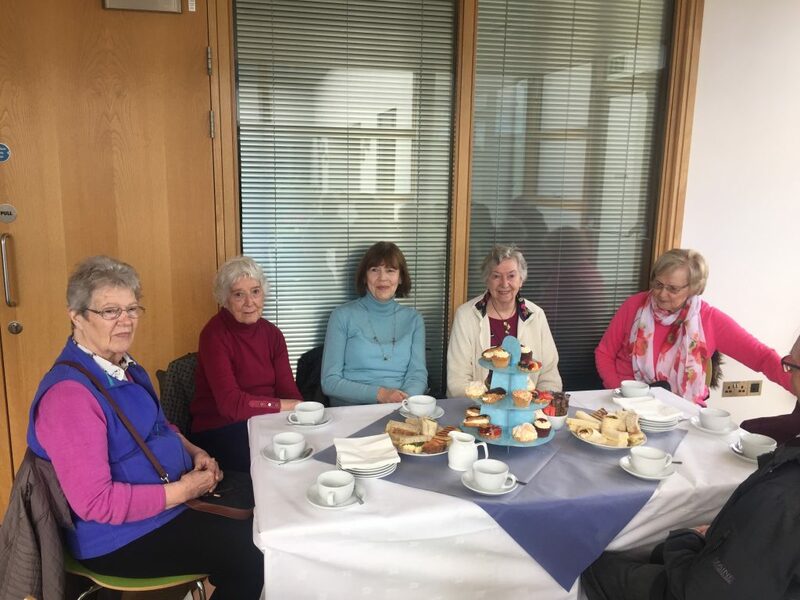 The whole group also have different get-togethers outside of Croí, such as coffee mornings, craft sessions, knitting, etc., the main purpose being to chat… about anything other than stroke!” says Monica. 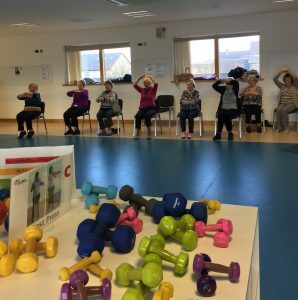 Pat and Monica also took part in Croí programmes, including Croí MyAction, an intensive programme focused on healthy lifestyle changes. 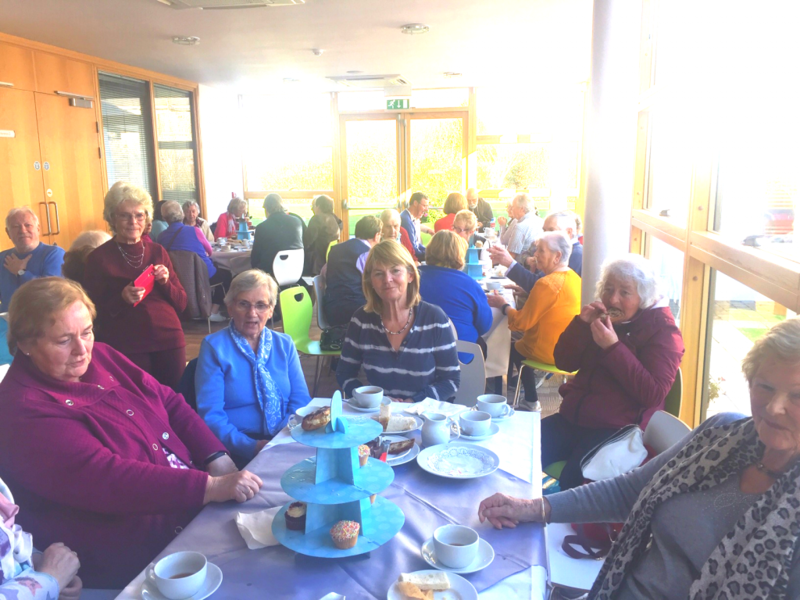 “We did everything together, and I found the programmes really helped me too! I needed to be well to be able to help him,” says Monica. Pat and Monica’s words of advice for #WorldStrokeDay are that there is life after stroke. Every stroke is different, but it’s amazing what goals can be reached. Try reaching the best according to yourself to get #UpAgainAfterStroke. Paddy, practicing yoga at Croí House. 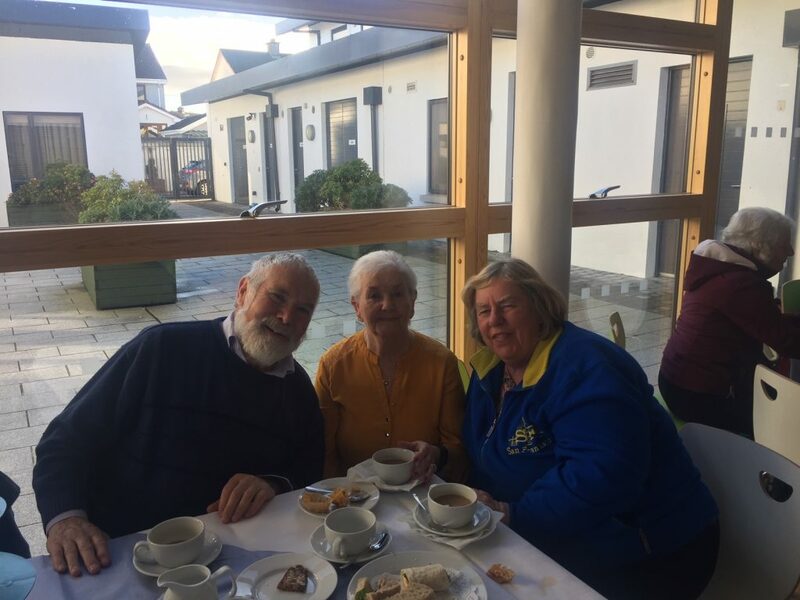 Paddy suffered a stroke three and a half years ago, and since then has been very involved with the work and activities at Croí House. “It really changed my life. I come to Croí every Wednesday for the stroke survivor’s yoga class, and then every month for the support group. 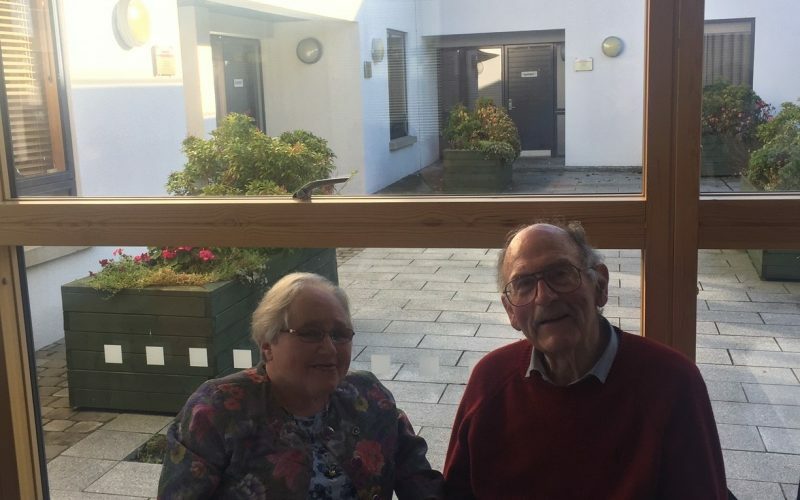 I can link with people who understand, and I feel comfortable in their company,” says Paddy. 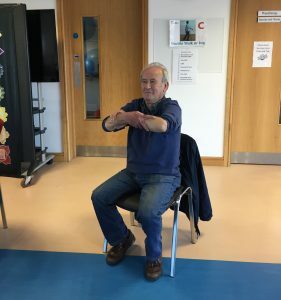 Paddy is a regular at the Croí stroke yoga sessions, where Vicky Harkin volunteers her time as the stroke yoga instructor. “Vicky was born for this job. 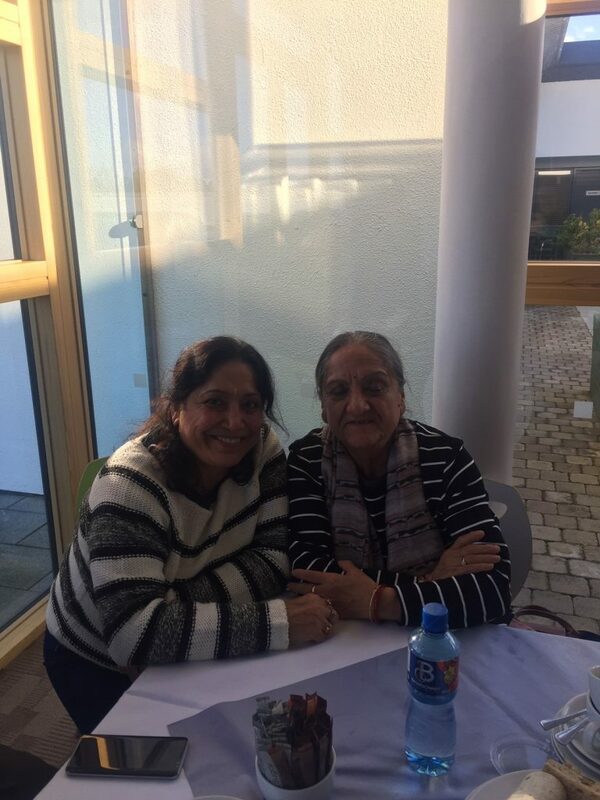 She’s the most enthusiastic person.” Vicky’s stroke survivor yoga classes are very popular and numbers have grown to over 30 per class. 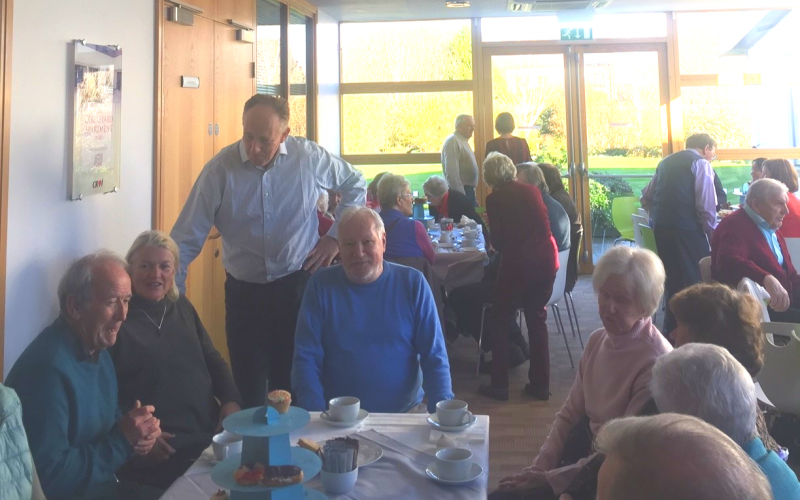 Paddy’s words of wisdom for #WorldStrokeDay are to get involved with a network, like the Croí Stroke Support Group. There are facilities available. 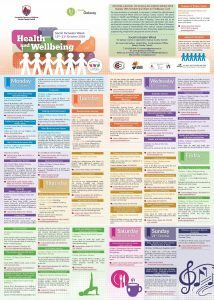 Even activities like going to the library or for a walk are forms of self-therapy. 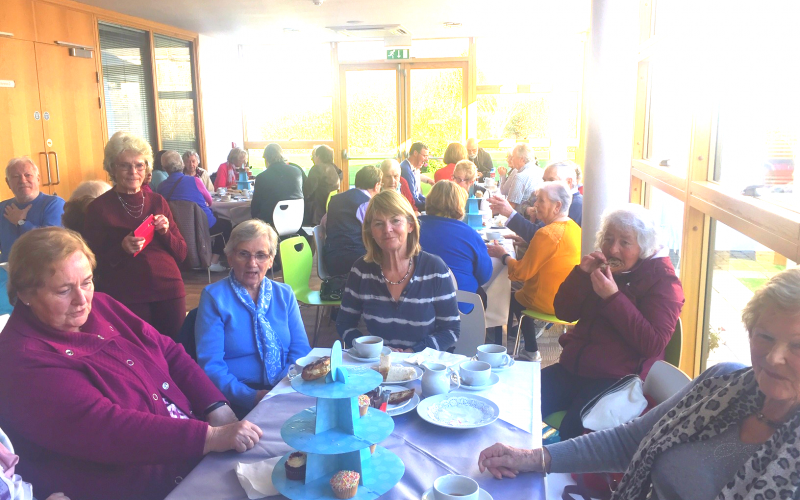 Get out and meet people – it will help you get #UpAgainAfterStroke. Thank you everyone who shared their story for World Stroke Day. 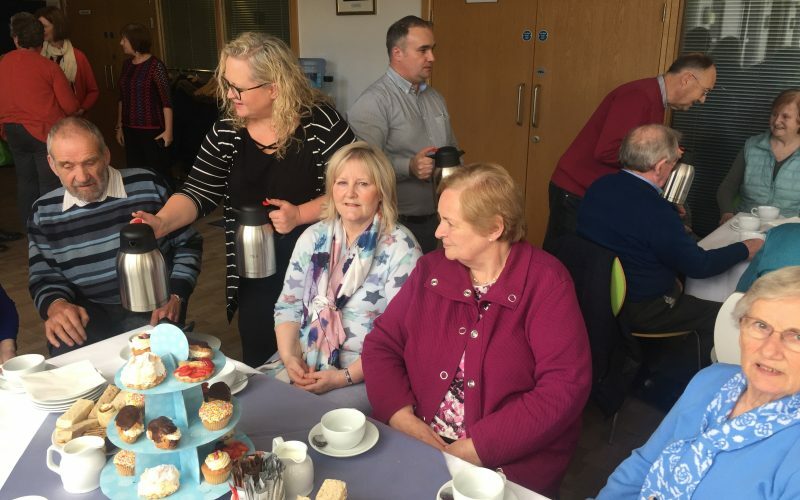 The Croí Stroke Support Group meet at Croí House on the second Thursday of every month and new members are always warmly welcomed. Please call Jessica on 091 544310 for further information. 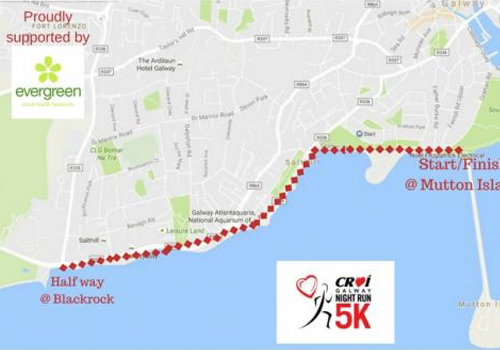 The 4th Annual Croí 5km Night Run took place on Friday last, October 19 along the Salthill Prom in Galway. 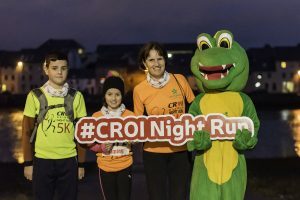 Over 1,300 runners and walkers donned their bright orange t-shirts and came out in support of Croí’s Night Run, the Heart and Stroke Charity’s largest fundraising event of the year. Over €60,000 was raised, with 100% of the proceeds going directly to support the work of Croí. This has been made possible thanks to the continued sponsorship of Evergreen Healthfoods. Special guests on the night included Galway Rose, Deirdre O’Sullivan. The race was chip-timed and participants can check out their race time at croi.ie/nightrun. Photos from the event are posted to Croí’s Facebook page @croiheartstroke. “What a fantastic turnout this year! We’re so grateful to all our participants, volunteers and our generous sponsor Evergreen Healthfoods for making this our biggest year yet. 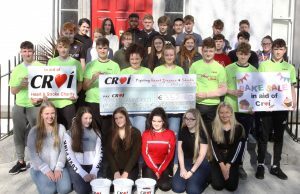 Every euro raised will go directly to supporting the work at Croí and the fight against heart disease and stroke,” says Neil Johnson, CEO, Croí. Stay tuned for 2019! Next year will be extra special to mark the 5th Annual Croí Night Run. Croí are working on a commemorative high-vis jacket for participants. “Stay tuned for the 2019 Night Run as we’re planning something even bigger and better for our 5th year,” says Johnson. 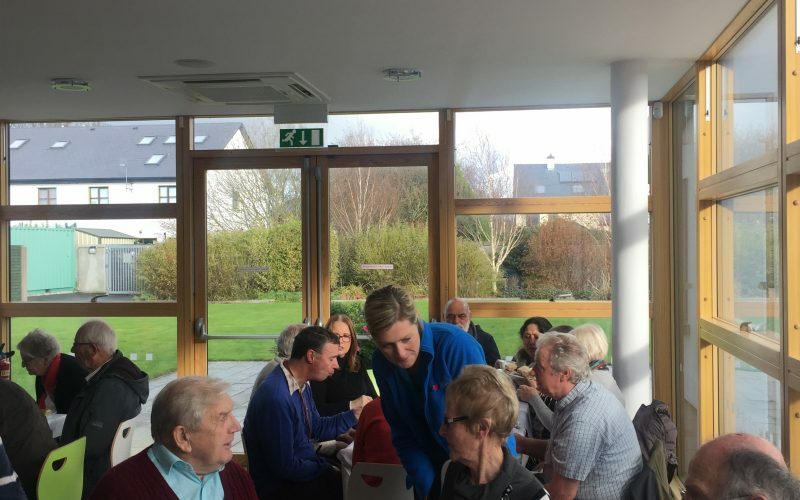 Croí’s aim is to lead the fight against heart disease and stroke, with a particular focus on the West of Ireland. 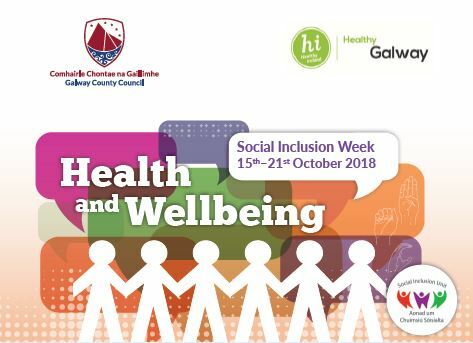 See croi.ie for more information and follow Croí on Facebook, Twitter and Instagram @croiheartstroke. Stand Up to Heart Failure, a campaign supported by Croí, Heartbeat Trust, Irish Heart Foundation, Novartis and Edelman, won the Patient Education Project of the Year – Pharmaceutical award on October 18 at the 2018 Irish Healthcare Awards. The Stand Up to Heart Failure campaign aims to raise awareness of the red flag symptoms of heart failure. These symptoms include; fatigue; shortness of breath, especially with activity or lying flat; swollen feet or ankles. Common risk factors of heart failure to be aware of are; high blood pressure, previous heart attack(s), and diabetes. Read more and watch the campaign video here. In September, I chaired a European Parliament roundtable with MEPs and five other cardiac patient organisations on Heart Valve Disease and the Power of Positive Ageing. 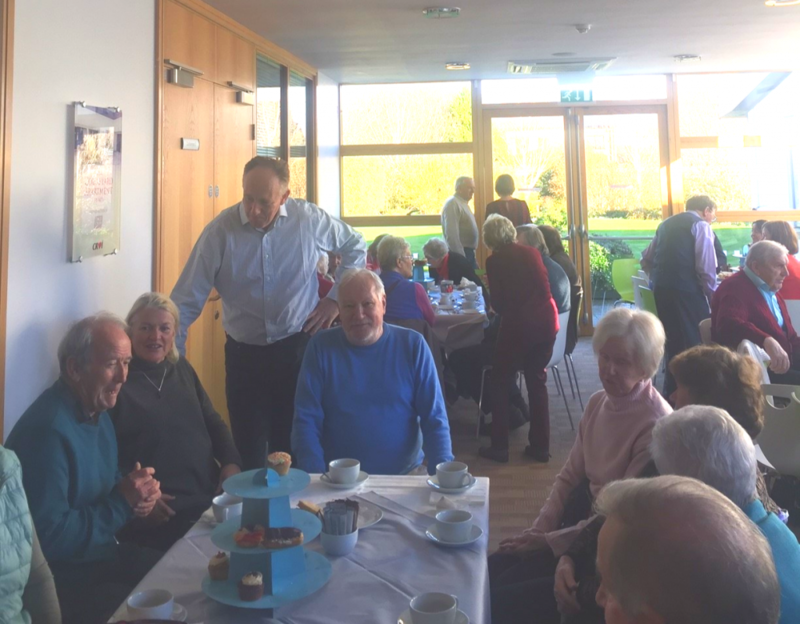 Our message was simple – heart valve disease is a barrier to active and healthy ageing: early detection, diagnosis and treatment with innovative medical technologies enables positive ageing. Equal access to these technologies was at the core of our discussion. Heart valve disease is a common and blameless disease of ageing. Around 13% of people aged over-75 have some form of the disease. It is both life-limiting and potentially life-threatening; 50% of people with severe aortic stenosis, the most common form of the disease, will die within 2 years if not appropriately treated. Yet, it does not have to be like this. Surgical heart valve repair or replacement are proven treatments and we are now living through a period of exciting and impressive advances in treating the disease with minimally invasive and keyhole techniques. Repairing or replacing a diseased valve can, in effect, cure the condition. Blood will once again flow through the heart the way in which nature designed it and patients can anticipate a better and longer quality of life. This is where the Power of Positive Ageing comes in. 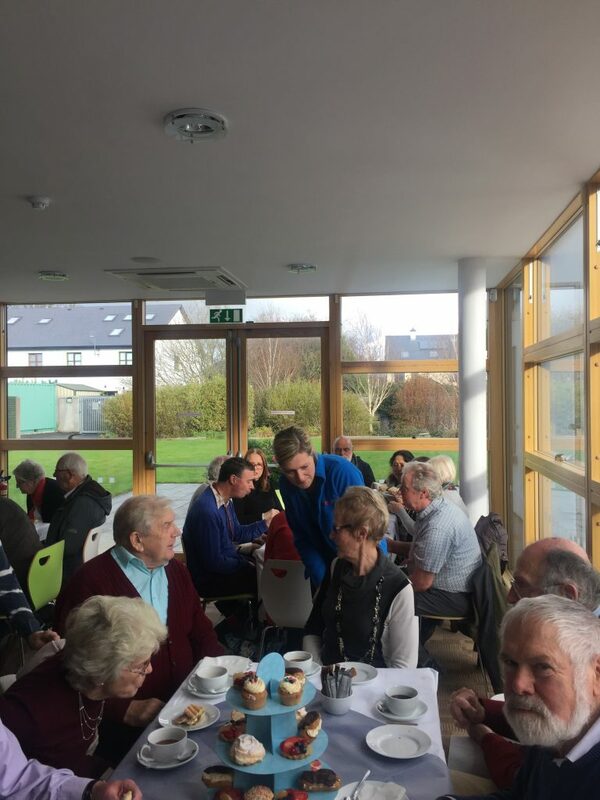 The ageing demographics of Europe are frequently viewed as a negative thing, whereas we believe and know that healthy older people contribute significantly and in very positive ways to our families, communities and economies. 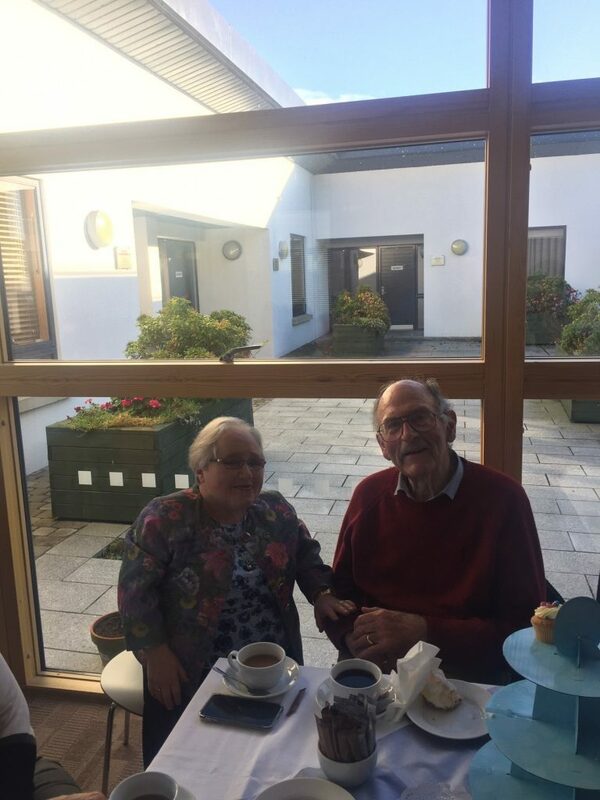 After all, we know that many people over the age of 65 care for their partners or look after grandchildren so that their own children can go to work. 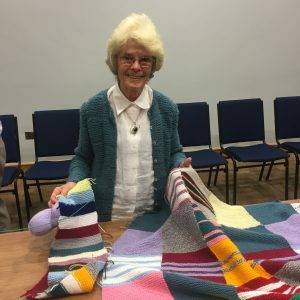 In the UK, Age UK estimates that this care is worth £15bn to the country’s economy. 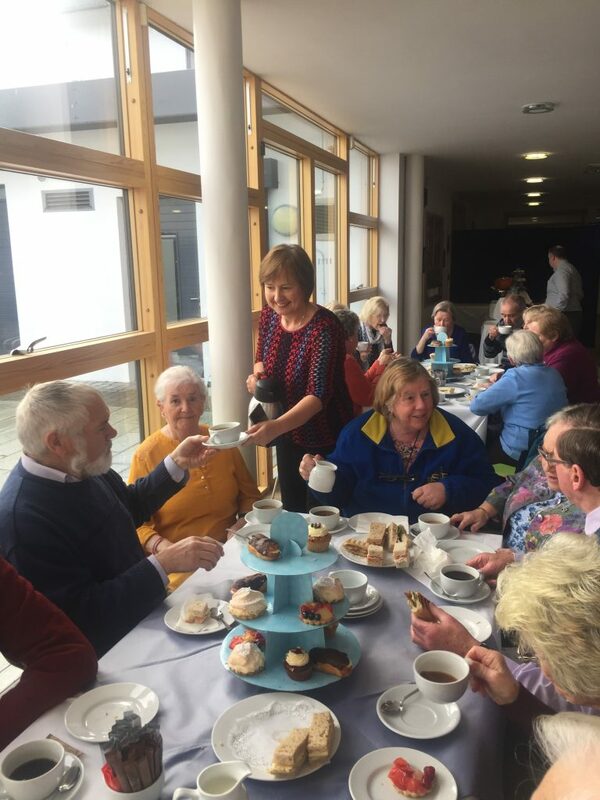 Here in Ireland, our senior population are literally running our communities by volunteering. 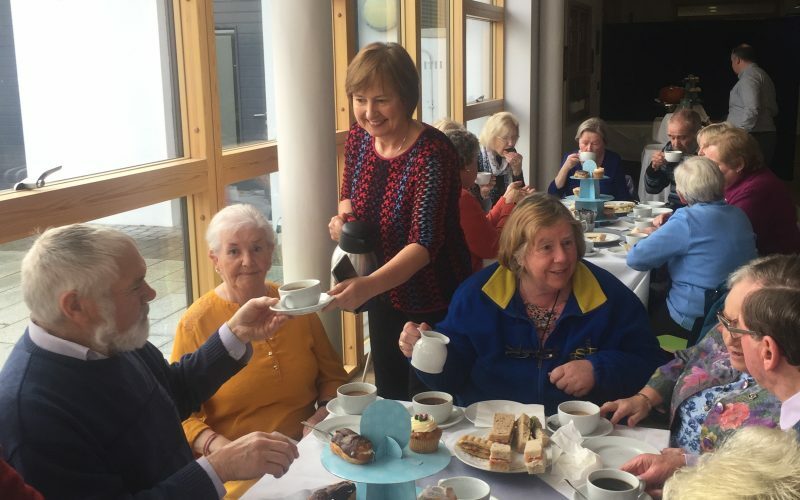 The Healthy and Positive Ageing Initiative (HAPAI) announced recently that 12% of over-70s volunteer in their communities weekly, while a further 19% volunteer at least monthly. Similarly, in France 36% of those over 65 volunteer in an association according to a report from Bénévolat. For me, it is self-evident that keeping our elderly population in good heart health with innovative medical technology is one clear solution to the challenges we face across Europe. Ensuring that patients have access to these technologies is central to this solution, but unfortunately, access varies widely across Europe. For example, in Denmark, Austria and Switzerland, you are much more likely to be treated with innovative technologies than in my own country. This is why a European alliance of heart patient organisations have called for action from European healthcare systems to ensure that patients have equal access to effective heart valve disease treatment wherever they live. Achieving this will allow us all to embrace the benefits of the Power of Positive Ageing. Originally posted by MedTech Europe on October 11, 2018. 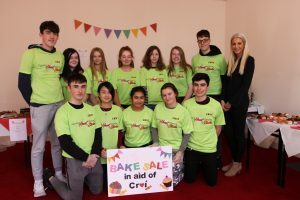 A huge thank you to the 5th year students at Yeats College, Galway, who organised a lovely bake sale on October 5 in support of Croí services! 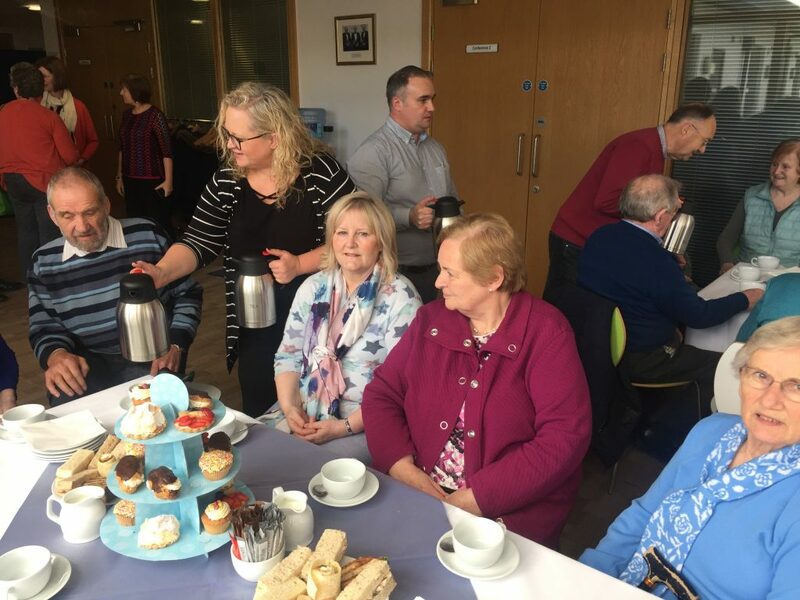 Over €350 was raised through the bake sale and coffee morning. Thank you to all the students, staff and parents who contributed and helped out on the day.